It`s the last night in Morinoki. Soooo sad to leave here. I got great memories that I could meet だくさん　travelers, communicate with them. After going back home, I am going to learn Japanese. If I could speak Japanese, It would be better to talk more people. Then, let`s talk in Japanese. Masa san, Thanks a lot for your warm hospitality. 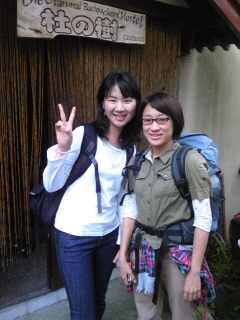 I will miss you、also keiko san, Peg and Log. I think, I am very lucky in Otaru, especially for the whether. I went to Camui Misaki(Shakotan) yesterday, it was very clear to see everywhere camui misaki, little hot though. 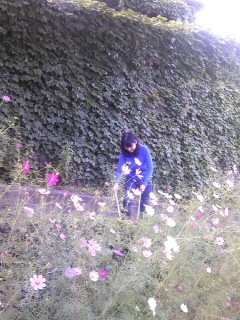 I met one Korean girl there, she was the first Korean I`ve met here. At first, I was not sure whether she is Korean or not, but she came to say hello in Korean. I was so happy to meet her, and we had lunch together, shared the pictures of ours. She saw the pictures of Morinoki, and then wanted to come by here. So we will meet near Morinoki and have dinner here in Morinoki. Staying Otaru and Morinoki are more and more exciting!! It` s already 3rd day. Yesterday, I`ve started my first work. I whipped outside, vacuumed, made beds, etc. I am enjoying those things to do. After finishing those, I went to see Otaru canal which is most famous site in Otaru. It was as good as I saw pictures before. Today, I am going to Sapporo. Actually, I was supposed to take a rest (reading and listen to music), because it would be raining on yesterday newspaper. However, It`s wonderfully nice today. 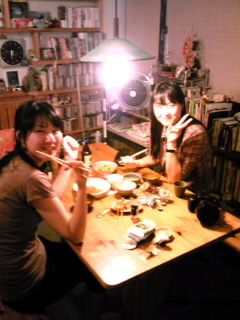 I`m very exciting cause I am really looking forward to Sapporo ramen. See you tomorrow with good news! 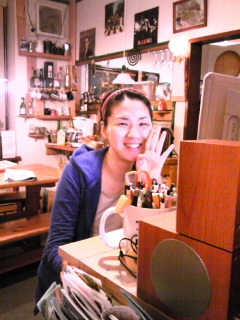 It`s Jiyoung from Korea and new helper of Morinoki. I saw the Morinoki in someone`ｓ　blog and　Ｉ　was sｔｒｏｎｇｌｙ　fascinated of it. 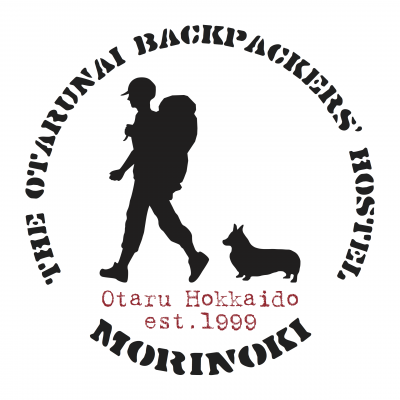 That `s why I choose otaru of whole Japan and Morinoki for my holiday. Much more than I expected, Morinoki is really good. Harada and Keiko san made me　feel comfortable, Morinoki Symbol Peg and Log are very friendly. I am going to write about my otaru life and Morinoki life from today.